As many of my friends will attest, it’s hard for me to take a trip without my camera. And, if you have the camera with you, where’s the harm in taking a few photos? A core group of us from Sandpoint (and a few other places) used to go to Moab, every spring. We haven’t gone in a while for various reasons, but this year worked out that we could all get together again and a plan was hatched. There are always some epic times on these trips. Lot’s of adventures can be had in the area, including mountain biking, photography, rock climbing, canyoneering, off roading….the list goes on and on. It’s a great time for me to shoot a lot of photos. Some for stock, some for my portfolio, and others just because I love photography. 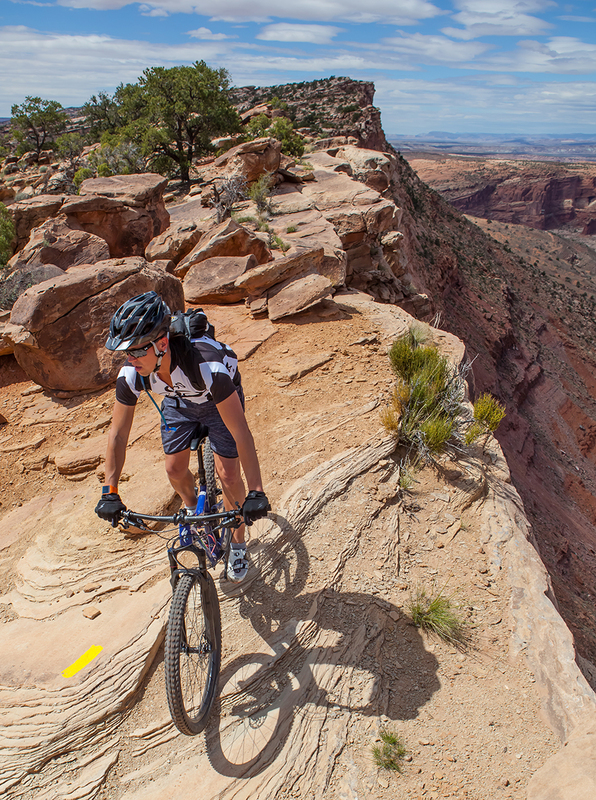 On our first big ride, we decided to tackle a trail that I had not been on before – Poison Spider Mesa. It’s a classic Moab ride, and one of the older trails in the area. We mapped it out, and figured out how many vehicles we needed to get us all to the trailhead. The map showed that we would be on a ridge overlooking a valley, and I was excited to take my camera along and get some great images. Taking a camera along on these rides is always a bit sketchy. First of all, it’s really heavy. My 5D along with my favorite lens (24-70mm, f2.8) weigh around 7-8 lbs. This gets stuffed into my small backpack that also holds a 3L water bladder, first aid kit, rain jacket, 2 spare tubes, CO2 cartridges, small tool kit, and food. That puts around 12-13 lbs on your back, which I strap down as tightly as I can while still allowing myself to breathe freely. As this group of cycling friends goes, I’m a bit on the slower side….so handicapping myself with extra weight doesn’t help things 🙁 We have an agreement that we always wait for each other at intersections, just to make sure that we are all going the same way. This also makes for a great way for me to get a bit down the trail and take a few shots of people riding through. This sounds easy, but finding a great spot where the light is coming from the right direction, stashing my bike out of site, getting my camera out and my helmet/sunglasses off, and then visualizing the line that will get ridden is a lot to do in the span of 60-90 seconds. 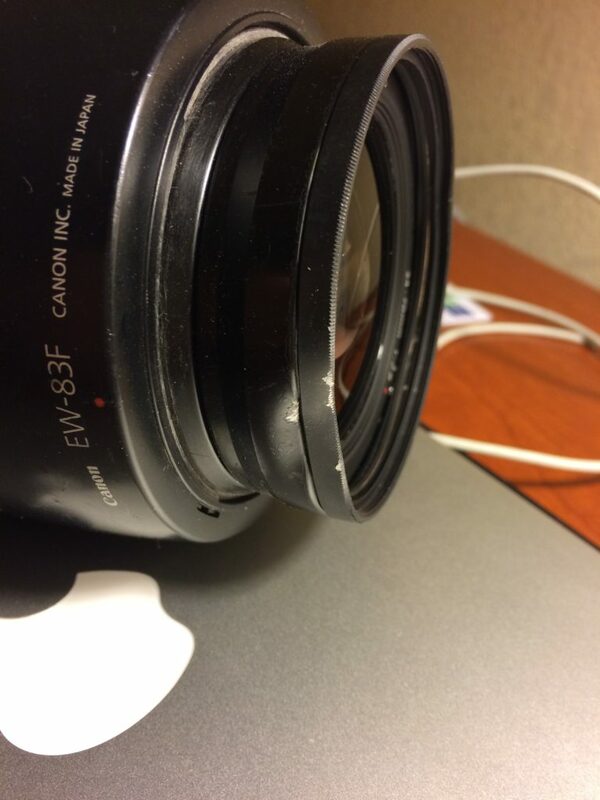 Oh, and don’t forget making sure that the camera is set correctly (white balance, ISO, and autofocus choices) and then the hardest thing….trying not to drench the camera with my sweat. For this shot, I was lucky and found a great spot within 100 yards of where we had all stopped. I yelled back to everyone to come ahead, and had them stop just before they were in sight. I gave instructions that everyone should ride directly towards me, and turn to their right (following the trail) at the last moment. Rider number one (I’m withholding names to protect the guilty) came through and I held the shutter button down, but only got one shot. I hadn’t double checked to make sure that my camera was set to “multi” instead of “single”, so I only got one image and the rider was too far away. Rider number two rode through and I got a couple of good shots, but I felt I was too low to really show the view. Rider number three rode through and now I was too high. For rider number four, I switched to vertical and lowered myself just a bit. Unfortunately he turned right way too early and is very small in the frame (and also pointed the wrong way). The yellow stripe you see painted on the ground is there so that you know when you are on the trail. If you ever ride in Moab, you’ll get used to looking for the various color stripes to make sure you are going the right way. We stopped a few more times to shoot, but nothing as good as this shot. We also took a wrong turn, ran out of food and water, got a bit lost, and ended up walking a lot of hills later in the ride. One of our group also started cramping up pretty badly, but in the end we all made it out okay. There were a number of times that we shared the trail with some ORV’ers, and almost every one of them asked if we had enough water or needed anything. Moab is a place where most everyone gets along with everyone else, regardless of sport. Which is really nice. In the Land of Dr. Evermore’s Forevertron, and other interesting bits…..
ray ban clubmaster on Glacial Fragments at Jokulsarlon, Iceland. http://thedigitalbridges.com on Portrait of Woman at LifeCycle Ride.